Well, it didn’t take long for New Orleans Saints running back Adrian Peterson to play against his former team, the Minnesota Vikings. Peterson is arguably one of the greatest players to play for the Vikings and anchored the rushing attack for years. However, after 10 seasons and 11,747 yards and 97 touchdowns, the Vikings parted ways with with the veteran running back. Peterson is definitely past his prime but is still a very capable NFL running back, and that showed when the Saints signed him. 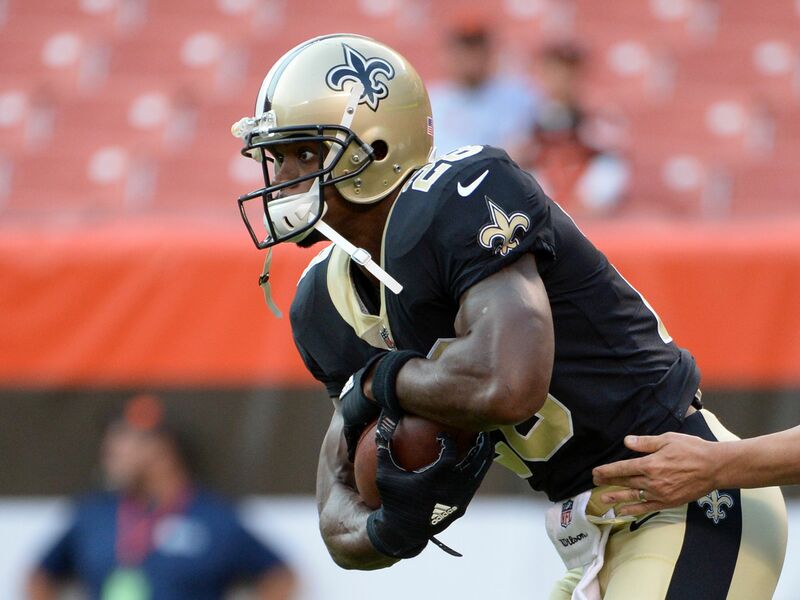 New Orleans signed Peterson to a two-year, $7 million contract. However, Peterson would not be the starting running back as it would be a running back by committee with the Saints already having Mark Ingram and using rookie Alvin Kamara more than expected. Fast forward to Monday night and Peterson is apparently not getting the reps he has wanted. Because of this, presumably, he was seen yelling at Saints head coach Sean Payton on the sidelines. Peterson was not used at all in the first half as he finished playing five snaps and four carries for a mere 14 yards at halftime. Peterson is used to being a top running back in the league and the undisputed number one on the roster, however, the Saints have Ingram, who may be better than Peterson is right now. Peterson will need to show his worth to the Saints and be happy with the split reps between him and Ingram. This was expected by many when Peterson signed that he and Ingram would split the carries and Ingram would get more. If it already has Peterson mad then it could be a long two years in New Orleans as he isn’t getting younger and his carries will only go down from here. It is a bad slide from what he used to be, but that is the nature of the game being an NFL running back. Many don’t see their eleventh season like Peterson has and should be lucky that he is still in the NFL. But this is at least worth monitoring, as if this drags out, Peterson’s time in New Orleans may be numbered sooner than expected.